‘Far too much attention is given to beauty products and treatments.’ Do you agree? The oft-quoted adage goes ‘beauty is only skin-deep’. And, as things stand now, this skin-deep beauty seems to be acquiring an almost unrivalled cult status. The excessive focus on flawless facial features spawned a range of cosmetic industries, be it wrinkles-removal cream, spa pools or even Brazilian wax hair-removal treatments. Newspapers bombard readers with the ‘newest’, ‘sure-fire’ methods to counter the effects of aging. 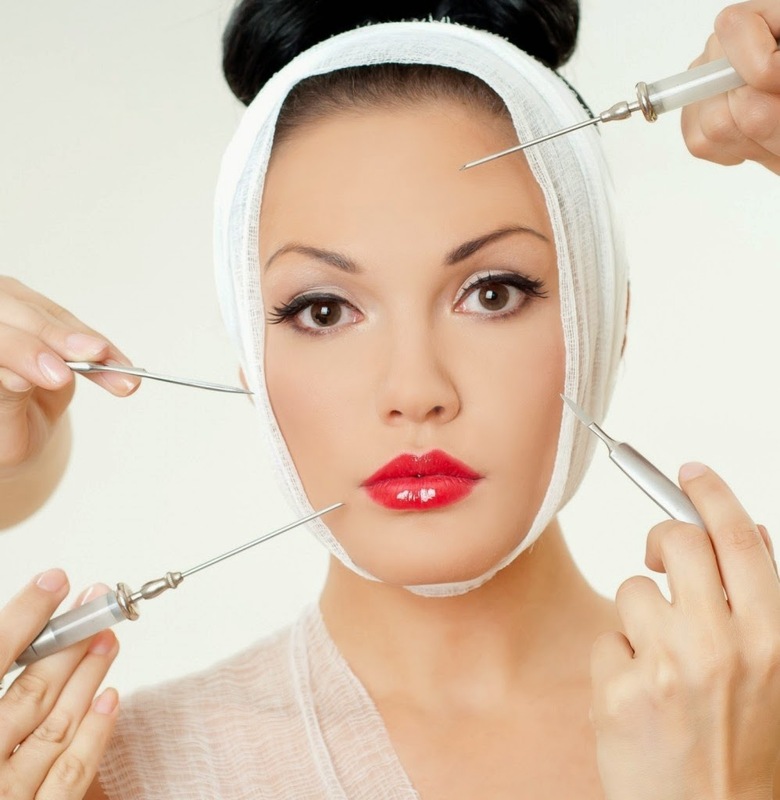 Thus, it is undeniable that excessive emphasis has been placed on beauty products and procedures. According to the International Mass Retail Association, there would be at least five adverts on beauty products and treatments in any average newspapers. This relentless flux of promotions is indeed a clear indication of the undue attention given to cosmetic goods and services. As economics theories postulate: ‘only when there is demand, would there be supply.’ Thus, such marketing techniques suggest that the spotlight on beauty products and treatments are simply answers to what the masses want. Whilst one could attribute these advertisements as money-making ploys by cosmetic industries, one should, however, not miss the fact that most people are willingly paying their hard-earned money for these treatments. Besides the economic aspect associated with cosmetic products, the ‘feel-good factor’ does come into play too. Models and artistes, with their pencil-thin figures and porcelain-like skin, evoke a sense of inadequacy in the person by the television. To think about it, the person in front of the cinema screen would hardly be spared from the bout of feeling body-conscious too. This inferiority complex is intrinsic; most people cannot help being jealous of and awed by the surreal looks of these thespians. One study of a sample of Stanford graduates and undergraduates found that sixty-eight percent of students felt worse about their own appearances after reading women's magazines. Another statistics by Media Scope 5 found that individuals who were shown pictures of thin models had lower self-evaluations than those who had seen average-sized and plus-sized models. And hence, as a result of media influence, people long to have the ‘tall, tanned and muscular’ looks or the ‘shapely hourglass figure’. In simpler terms, they are vain about their looks. The more looks-conscious old and aged would try to rediscover lost youth. These aims would quickly be achieved by cosmetic procedures and products. Excessive emphasis on beauty products and treatments could also be easily attributed to the need for a more presentable self. In this competitive society, it is necessary to leave a good first impression. Naturally, if all other qualifications are comparable, an employer would hire a well-heeled man than a scruffy-looking one. Deals between companies would be easier to settle if both sides look somber and serious, dignified and decent. Discrimination against obese people in the workforce is rampant. Personnel Today, a UK newsletter, found out that sixty-three percent of the employers are biased against overweight workers. Thus, to improve one’s chance of gaining employment, one might resort to speedy and easy – though not inexpensive – methods of beautifying oneself. From a purely rational perspective, undergoing the knife is silly and stupid. Nowadays, people frequently talk of having their own identities; everything must be personalized, from clothes and fashion wears to laptops and handphones. Yet, they are actually paying good money to give away the faces that are theirs and theirs alone. They eventually end up with faces belonging to others – perhaps a dash of Angelina Jolie, a whiff of Paris Hilton and a speck of Britney Spears? It is almost ludicrous to think of a cavalcade of starlets-look-alikes parading Orchard Road. And yet, judging from how parents are not only condoning, but in fact, pushing their children to beauty treatments and cosmetic surgeries, this image does not seem quite so impossible anymore. A recent poll by The Straits Times found out this: an alarming twenty percent of parents are actually paying for their daughters’ breast implants as birthday’s presents. In my opinion, the disproportionate attention given to beauty products and procedures ought to be more fairly distributed. ‘Software’ – proper manners, moral values, common decency and decorum – ought to be accorded equal, if not more, focus than merely external looks. The concept of ‘aging gracefully’ must also be well publicized; there is really no need for a fifty-five year old lady to try every wrinkles-removing cream on the shelves or to go through a punishing series of face lifts. Instead, the aged ought to participate in healthier exercises that continually stimulate their minds, rather than futilely chasing after lost youth. But, as things stand, the spotlight on cosmetic creams and treatments would only become brighter, not dimmer.